Girls' black and white comforters and bedding sets like these promise to set your decor in motion, creating an amazing bedroom scheme you'll love. Bold bedding is a must-have when decorating girls' and teens bedrooms, as their fun vibe make for one, awesome focal point. But what style black and white bedding is best for your girl's needs might come as a challenge with the various considerations you'll need to make. Scroll down to peruse several black and white comforters along with other fun bedding that will best suit your girl's need for style and the bedroom's for size and need for drama. real-deal: what are those bed-in-a-bag bedding sets? These high-energy dot and circle patterns make great kids' and teens' bedroom decor--black and white polka dot bedding sets like these, included. But because these polka dots are visually stimulating designs, having them in every nook and cranny will quickly result in an avalanche of pesky, dizzying spots you can't seem to conquer when entering the room. Keep madness from invading your space by allowing your bedding to take the reins with any other pieces you add being low key. Your wall art and accessories should be in support of your bed set and not a major competitor. Note how, in the model room to the left, here the wall art and other pieces don't compete with the bedding. You may even opt for solid sheer panels like shown, too, so your space isn't taken over by 'residual spots' every time you blink your eyes. Really, it happens! Just think: 'busy bedding, cool walls' and you'll have that balance you need for a successful result. 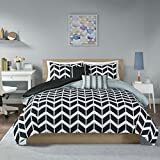 Successful decor begins with a strong, visually-appealing focal point, so ideally, you want a fabulous black and white bedding set in your girl's or teen's bedroom. 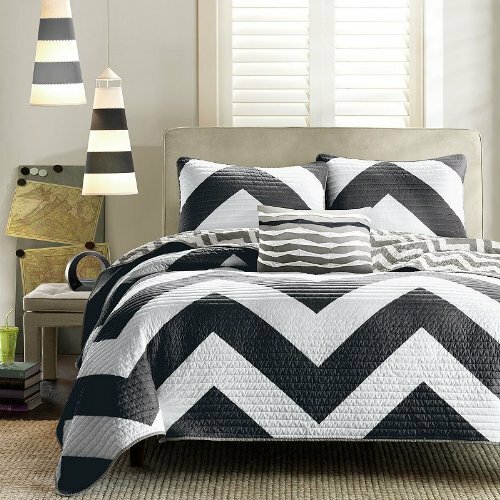 Since beds are most often the space's largest contribution, using strong bedding like the zig zag, chevron or really, any of these contrasting comforter sets as a great first impression is a must. Opting for black and white bedding sets like these will easily set the stage for your new theme. They've the high impact you need to capture the eye and old it for a bit longer before admirers move about the room looking at your supporting pieces. Begin strong with your black and white bed set and the rest is easy-peasy! 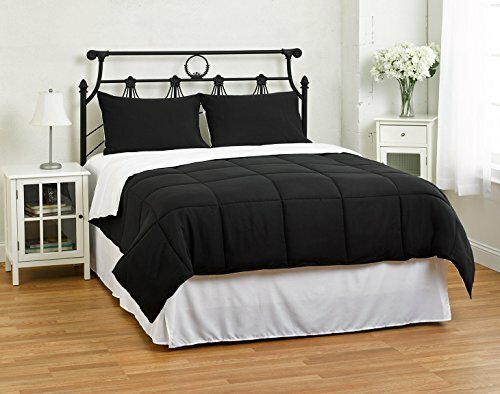 While your teen may think a solid white and black comforter set like this one is boring with a capital 'B' you may need to remind them with such solid backgrounds, they'll have a blank palette of sorts, where they can add crazy-cool accent pillows or any color that they're glued to this year. Too, such generic bedding can support designs and subjects for any age, so when your teen is ready to redecorate, they can pass this bedding down to another family member--boy or girl. It's a great idea to go budget friendly and 'plain ol' on one piece of decor and go all out on another. A good example for that kind of balancing in your teen's bedroom would be going plain with this bedding and pairing the set up with a high heel shoe chair. Or funky chandelier. If you've a major-player piece of furniture or decorative element, keep it from competing using solid bedding. Many times we're stuck with spaces that have little or no natural light via windows. If your teen's bedroom is in this category, consider folding or rolling down the bedding to expose a white sheet set--much like you see in this model room. Did you know it's healthier to fold your bedding down versus making the bed with your comforter completely covering the bed? It's true. Beds with less air are more likely to harbor all sorts of critters and allergens. But back to low lighting: add lots of white. Accent rugs, white sheer panels, white wall art and very important: mirrors for reflecting light. Pair these decor pieces with light-hued walls and you've just brought thee bedroom out of the gloom. Decorating for young girls--even teens--may mean you'll be redecorating at some point in the not-too-distant future, as girls mature at a frightening speed. And so, too, does their taste for decor. It's best to consider your girl's age before your final decision on which bedding set is best for the longer haul. Ideally, your new efforts at decorating will last more than a few years and that's very possible with bedding sets like I've featured here, in this article. Since your bedding holds the most 'weight' in your overall scheme, it's a good idea to steer clear of age-specific comforters. 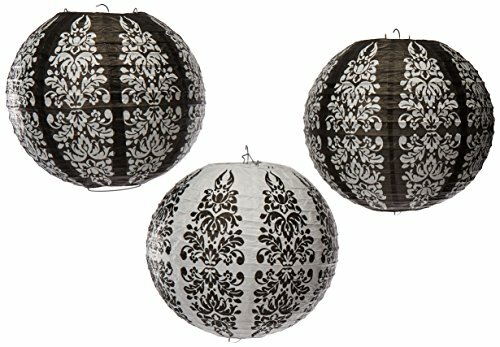 A boutique decor scheme is a good option that will hold your girl's interest for quite some time and with the black and white damask comforter sets like these, you can change out wall art from a younger, 'cutesie' or fairy-like genres, to more mature high heel, fashion decor without much ado. It's been my experience that animal prints--especially zebra are a fave for girls' and teens' bedroom decor. 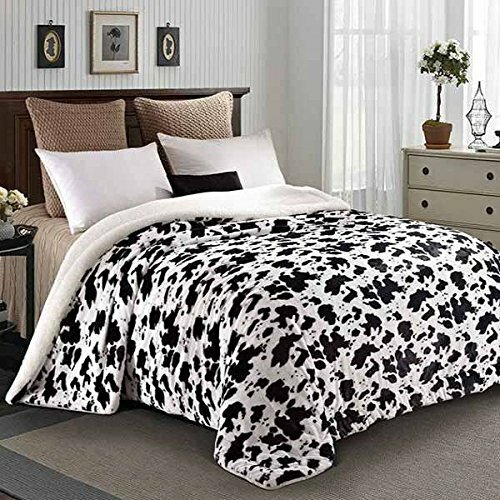 I'll bet these black and white zebra and cow print comforters and bedding sets will make their list for top bedroom design options. Zebra stripes have the visual energy to captivate and serve as your room's focal point. They've the strength to stand alone in your girl's room allowing you the time to add decor as you can without the space looking barren. Be sure you're not on animal-print overload with here a stripe, there a spot, everywhere a spot, spot . . . spot. But seriously, these comforter and bedding sets are spot-on (no pun intended) for tween to teen age girls. 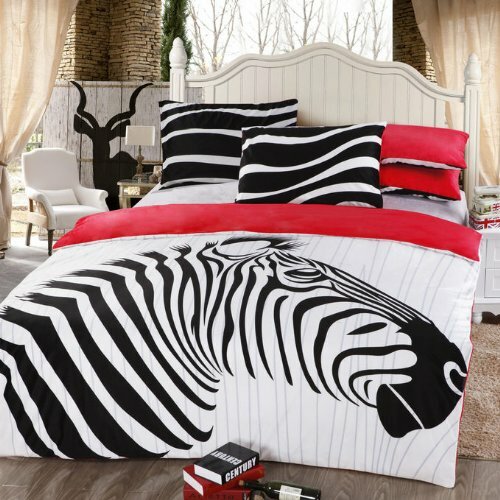 Can you see how amazing the zebra bedding here can evoke the WOW! you're after? Wall Decals are another way to get the most for your decorating dollars. There's no end to the plethora of styles--even wall mural decals--to make an amazing impression for very little effort. Wall decals are an ideal option to accompany your black and white bedding and while they do come in black only, there's so many more in fun colors if you want to create a deviation from total black and white in your space. I love this chandelier wall decal; it makes a cool statement and can serve as a substitute for the real deal quite nicely if you don't want or can't set up a full-scale chandelier. Wall decals are removable, reusable, easy to apply and cheap. There's not much that's left out when opting for a wall decal as part of your girl's bedroom decor. Little splashes of color here and there add an unexpected element that successful decor is famous for. 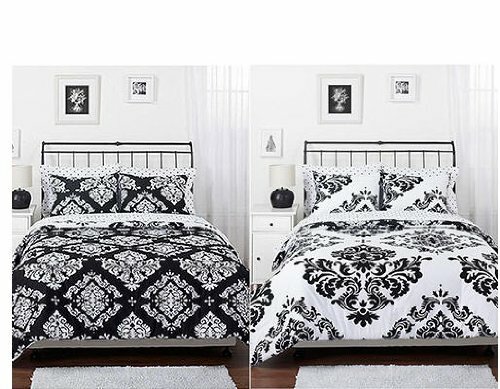 To illustrate, I chose these black and white bedding sets with just a hint to a splash of color--just enough to make a difference--sort of an afterthought. These little bits of color allow you to make other, coordinating pairs, like with window panels and accent pillows. While keeping to strictly black and white bedding is fine, adding a bit of color for fun is just the fun accent kids and teens love. No, you didn't read the "30-Piece . . ." wrong; this set has everything your teen will need to dress a strange XL twin size dorm room bed or just freshen up an old or used mattress with its protective pillow and mattress cases. Everything included is color-coordinated and the price can't be beat for such a black and white zebra print comforter that's reversible. The extra long comforter can be used on a regular/standard size twin bed, too if that's what you have. While your teen may not be ready just yet for college, you can certainly bundle up the 'extras' and keep them for school in the fall. 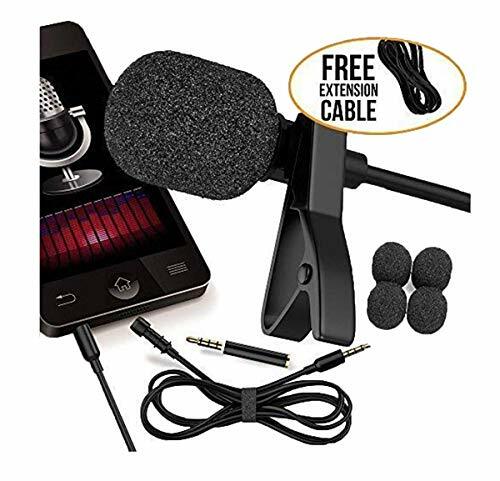 It's the mom in me that seizes upon a deal like this, so I had to share! 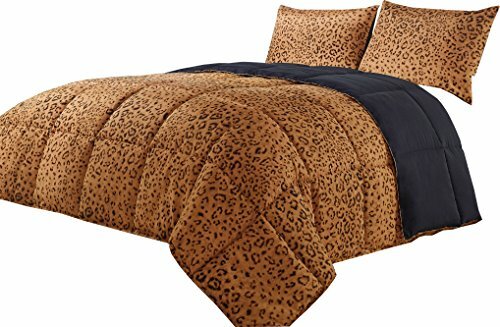 Click the image to see more details about this dorm comforter set. Hot pink and black zebra print bedding sets like these, meld two contrasting, bold colors that tween to teen girls love as their room's theme colors.